Cassandra Kresnov--a highly advanced hunter-killer android--returns to face down a rogue government's plot to eliminate free will. Commander Cassandra Kresnov has her hands full. She must lead an assault against the Federation world of Pyeongwha, where a terrible sociological phenomenon has unleashed hell against the civilian population. Then she faces the threat from a portion of League space known as New Torah, in which a ruthless regime of surviving corporations are building new synthetic soldiers but taking the technology in alarming directions. On the Torahn world of Pantala, Sandy encounters betrayal, crisis, and conspiracy on a scale previously unimaginable. Most challenging of all, she also meets three young street kids who stir emotions in her she didn't think she was capable of. Can the Federation's most lethal killer afford unexpected sentiment? What will be the cost if she is forced to choose between them and her mission, not only to her cause, but to her soul? 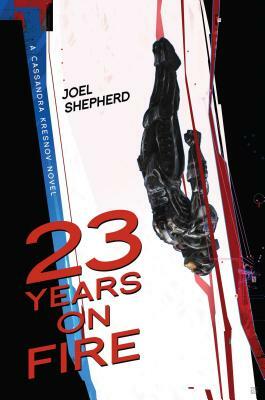 Joel Shepherd (Adelaide, South Australia) is the author of three previous novels in the Cassandra Kresnov series--Crossover, Breakaway, and Killswitch--and four novels in the Trial of Blood and Steel series--Sasha, Petrodor, Tracato, and Haven. He is currently midway through a doctoral program in International Relations, and has also studied film and television, interned on Capitol Hill in Washington, and traveled widely in Asia. Visit him online at www.joelshepherd.com. "If you’re in the mood for a fun, intelligent, and action-packed science fiction series, definitely give these books a try." "Robert Ludlum meets Elizabeth Moon in this classic military SF adventure, buoyed by Shepherd's knack for balancing crisp action with characters you can really root for." "A fast-paced story of intrigue and adventure set against galactic politics. With particular appeal to readers of high-tech sf and cyberpunk, this title belongs in most sf collections."